How to spend perfect shopping day in Helsinki? Well, there are surely many different answers but let me introduce one. This text concentrates on shopping (and bit other things as well) around Punavuori area in Helsinki. Best way to start shopping day is to have breakfast at Café Ekberg (1 in map). 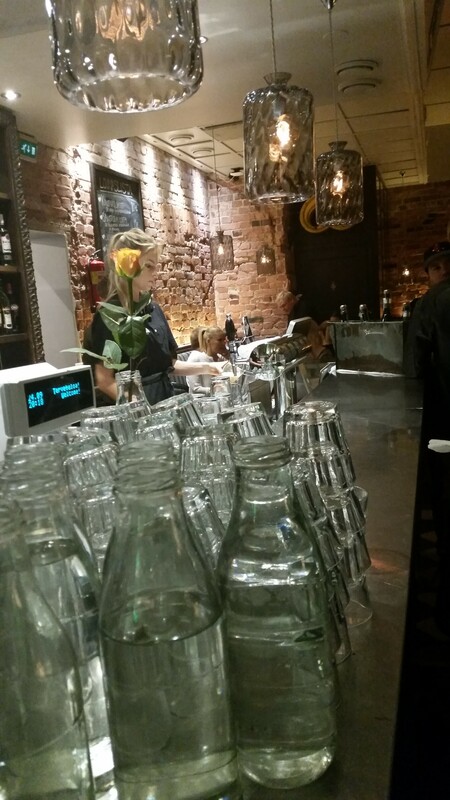 This wonderful Café is situated in Bulevardi 9 (less than one kilometre from Railway station or Stockmann). Since pretty popular breakfast place, it is good to make reservation beforehand. Café Ekberg is also perfect place for afternoon snack in case you have had your breakfast at the hotel. After breakfast I recommend visiting flea market Hietalahden Kirpputori (pictures above, map 2) which I’ve written before. After checking all tables you probably feel like it is good idea to sit down. For that you find small terrace café in front of Hietalahden Kauppahalli (Old Market Hall). After resting a while I recommend to visit Old Market Hall which is next to flea market, where you can find some Finnish handicrafts, vegetables as well as restaurants. Walking along Fredrikinkatu is a great choice for shopping – you can find many small shops and boutiques. Here I just mention few, but there are plenty more around! Good starting points are three great clothing stores (map 3) in Fredrikinkatu: Liike, Asuna and 2OR+BYYAT. Addresses for these stores are Fredrikinkatu 35 and around (they are really close to each other so when you find one, you will find the others as well). All these stores represent Finnish design (some international as well). Liike and Asuna have labels from different designers, so you get very wide overview of Finnish contemporary fashion in these stores. My favourite label in Liike is “Miun” – I have so many dresses designed and made by them! Also other labels are very interesting. Since smallish labels, you can be pretty sure others will not have the same outfit than you when buying from these small stores. 2OR+BYYAT is more “international”. Their collection is sold worldwide but the brand is based in Helsinki. I especially like their leather designs. After lots of cloths it is time for some old books – antiquarian books shop Hagelstam opposite of Liike is really worth for visiting. When you have had enough books continue along Fredrikinkatu – after one block you find tiny Fredrikintori market place (map 4) . This time there were flowers, sometimes there are antiquity furniture or vegetables. Right after Fredrikintori market place you find vintage store Ruuturouva (map 5) – that is fun place to drop by and find some vintage bags, shoes and dresses. And after all this shopping you need some nutrition for you soul – for that you have to continue walking Fredrikinkatu and turn left to Merimiehenkatu. At the corner of Fredrikinkatu and Merimiehenkatu you find very cute candy store called Roobertin Herkku (map 6). That is a great place to stop by and buy some sweets. With mouth full of candy continue along Merimiehenkatu towards beautiful Johanneksen Kirkko (Johannes Church) (map 7). If doors are open, you may wonder around there, if not, just admire this 19th century church outside. Still some energy left? Continue to Annankatu. You find old Finnish tableware and other oldish Finnish design from not so fancy antique store moderndesign.fi at Annankatu 8 (map 8). After popping by continue to the corner of Annankatu and Uudenmaankatu. There you find Formverk (map 9) where you can find nice and handy items for home. After Formverk walk few meters right along Uudenmaankatu and you find Ivana Helsinki, Finnish women cloths designed by Paola Suhonen (map 10). 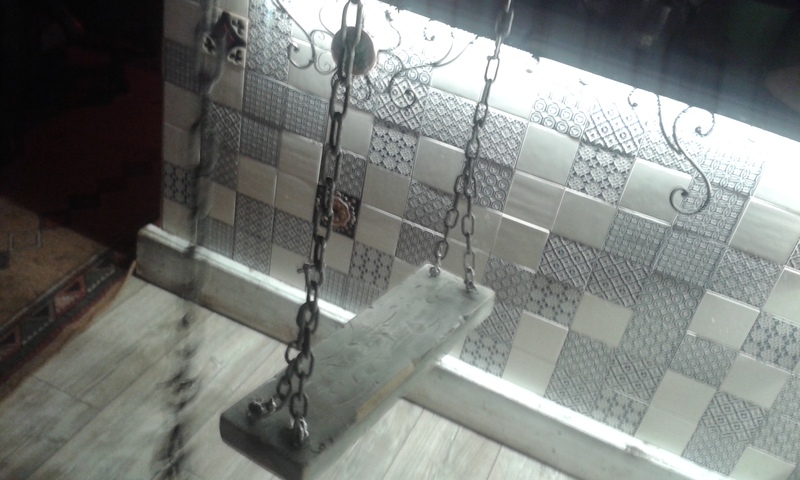 I strongly recommend visit there (also downstairs). I have bought many dresses from there. Next to Ivana there is Punavuoren Peikko which has cute kids clothing offering. If you are hungry, there are many good restaurants near by, I would recommend Soil which I have written before of something in the corner of Ruttopuisto – for example Gaijin with modern Asian flavors or Italian style Toscanini (both situated in Bulevardi, walk along Bulevardi towards Mannerheimintie and you will find them) are great choices. And even mainly shopping the whole day you have also seen some of the most beautiful neibourhoods of Helsinki – many great buildings along your way – hope you have noticed also them! Lately I have been writing a lot about “best things” in Helsinki. This writing is somehow the same theme… You see, one of the best ways to explore town is biking. And since I’ve had some great experiences bicycling around foreign towns like Singapore and Nice I want to tell for you dear readers how to bicycle easily in Helsinki. Cycling is quite easy in Helsinki – not great town for bicycling like Copenhagen – but pretty good anyway. There are many bicycle paths but you have to be prepared to bike also on streets with cars. 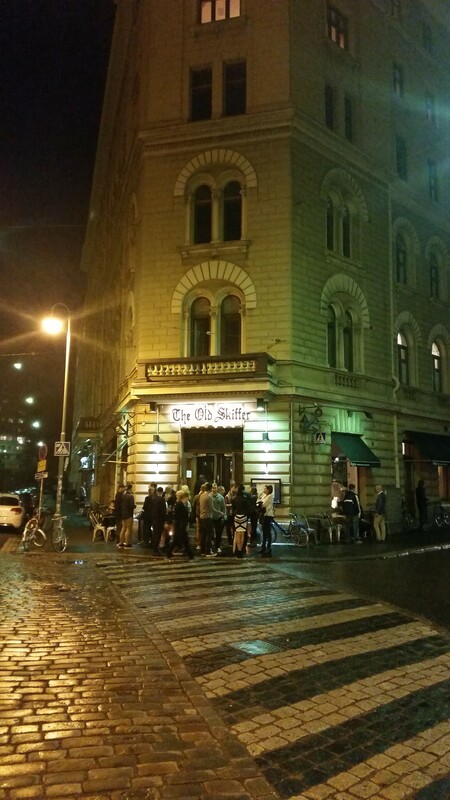 I wrote last autumn about getting around in Helsinki – some tips there as well. For tourist there is always a problem to think were to hire a bike. This problem is solved in Helsinki – there are city bikes all over the downtown – around 50 locations to pick a bike. One of the locations is in front of President Castle which is shown on a picture above. You can buy daily, weekly or yearly pass for bikes. Pass covers up to 30 minutes of biking per time. This 30 minutes time is enough to bike from one station to another (since stations are very close to each other). After 30 minutes there will be additional charge for biking longer time. After 5 hours there is a penalty of 80 euros so don’t use bike for more than 5 hours! Since the pricing is like this, there are almost always some bikes at the stations. You find bike stations for example from Railway Station, Kauppatori and Hietaniemen tori (which has also this great flea market I wrote last autumn). You find more information about city bikes here – there you find English information about renting process, map of all stations as well as how many bikes there are right now in every station. Tuesday I had planned to have dinner with friends after work. However I had to be in Copenhagen for work that day so I didn’t make it for dinner. I still wanted to see my friends – so we had drinks after their dinner, right after my plane landed. 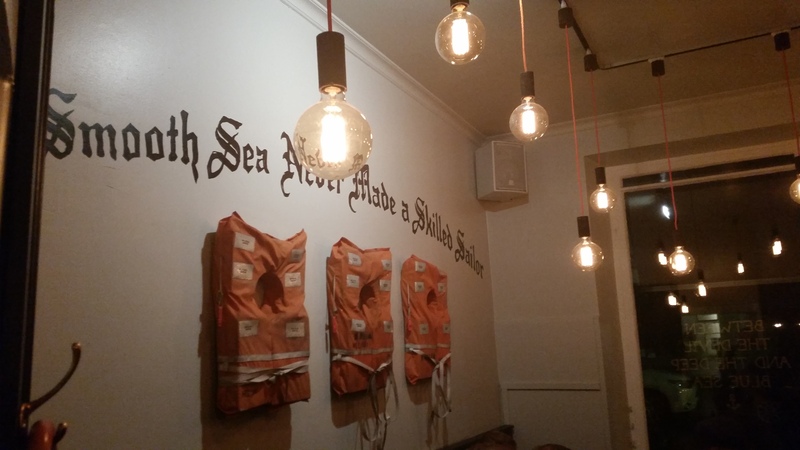 We decided to visit Bar Llamas which I’ll describe as cosy bar with South-American twist. Since we wanted to share with each other what’s going on, we wanted a place where one can easily talk. For that Bar Llamas works perfectly – music is not too loud. 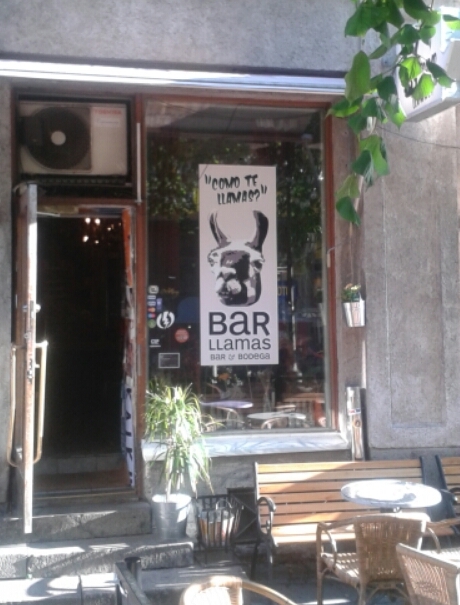 The address for Bar Llamas is Iso Roobertinkatu 14. 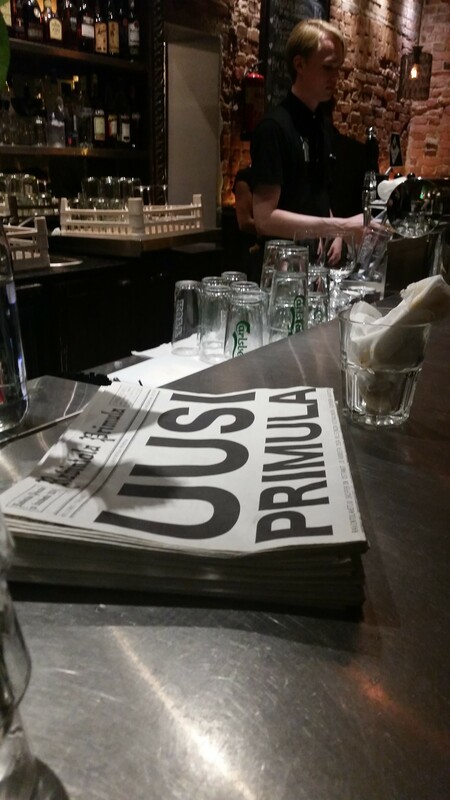 It is situated in the heart of Punavuori which is very trendy district in Helsinki – lots of restaurants, lovely stores and bars and as Marjo just wrote, lots of people working in advertising agencies. This is an area we’ll be writing a lot in the future.